Aarav is a treasure hunter. He pursues stories of ancient treasures and often finds that most of them are just a myth. But sometimes his efforts pay off and he finds real tangible treasures hidden in old forts or temples. He, along with Rehann, is always looking out for the next big mystery of hidden treasures. So when Aanya Vashishta comes to him with her father’s last letter to her, he is more than happy. The letter is a coded message leading them to the next clue. In the pursuit of this treasure, they come across the powerful and charismatic Shayna who is one of the masters guarding the ancient secret. What follows is thrilling pursuit filled with life-threatening events and revealing the hidden intentions of each of the characters. 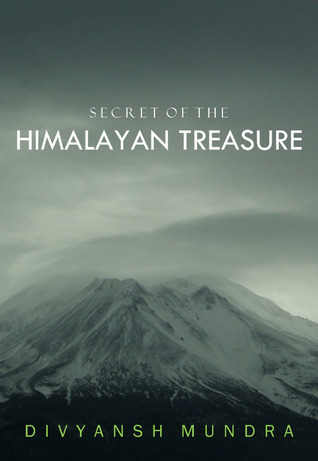 The Secret of the Himalayan Treasure is a debut novel by the young author Divyansh Mundra. For a first time author, Divyansh has done a commendable job in terms of research and command over the language. Treasure hunt in itself is very thrilling and as the protagonist of the book says, it is the journey to the end that matters. The plot revolves around a typical treasure hunt. Although the story is engaging, for the most part, I felt it dragged a little towards the end. About 20-25 pages could have easily been shed in the second half to retain the momentum. The twists in the storyline were interesting in the beginning but they became overwhelming in the second half and I had to think very hard to link one twist to the last one. As mentioned earlier, the language and choice of words is meticulous but there were a few grammatical errors that could have been taken care in proof-reading. I am sure the author will address this in the next editions. Over all, a good read and the author looks promising.